I have been tagged: Favourite Beauty products under 5 GB…..
Hi my sweet butterflies…… This is going to be a Tag post….Our sweet Aliya of shetoday have tagged me for this post…..
£10 Make up challenge !! I have created a makeup look using the products mentioned in this post…………. I applied elf tinted moisturiser all over my face… it covered up the lil blemishes and dark circles I have..and then, I topped it up wd Velvette pressed powder from Tips and toes…Created an eye look using MUA Glitterball palette, lined up my eyes using Tips and toes eyeliner….and applied the natural lip shade 16 from MUA on my lips…. 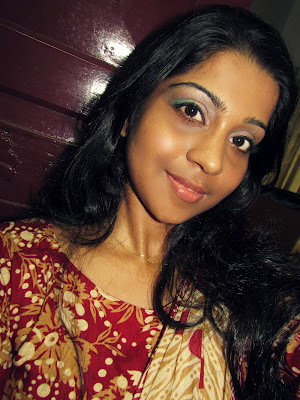 Here’s a look which I created using the products mentioned in the post….